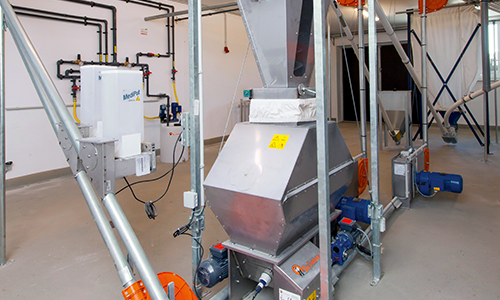 Wherever dry feed has to be conveyed or distributed on a pig farm, be it mash, crumbles or pellets, Big Dutchman’s DryRapid is the ideal feed transport system from the silo discharge all the way to the feeding system. 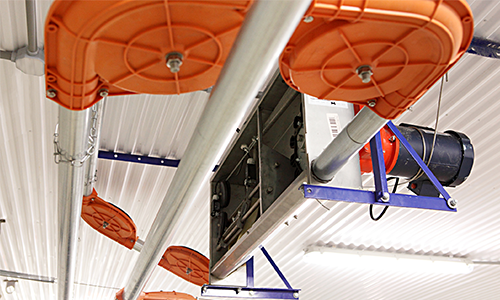 DryExact Pro is a computer controlled feeding system which employs a weighed batch mixer to blend and deliver individual feed recipes for every feed valve (trough or feeder). This technology along with the capability of feeding two loops simultaneously with highest accuracy opens the door to sophisticated precision multi-phase feeding.